The River Arle running through Alresford is where eels set out on their thousand-mile journey to spawn in the warm waters of the Sargasso Sea, and in 1820, the Harris family of Arlebury Park built a beautifully constructed small building to straddle the waters of the river so that they could catch fat, mature eels making their way to the sea. It has become a landmark building, described as a ‘masterpiece of 19th Century ingenuity’, sitting beside a footpath in woodland in a valley nearly two miles from the town centre. 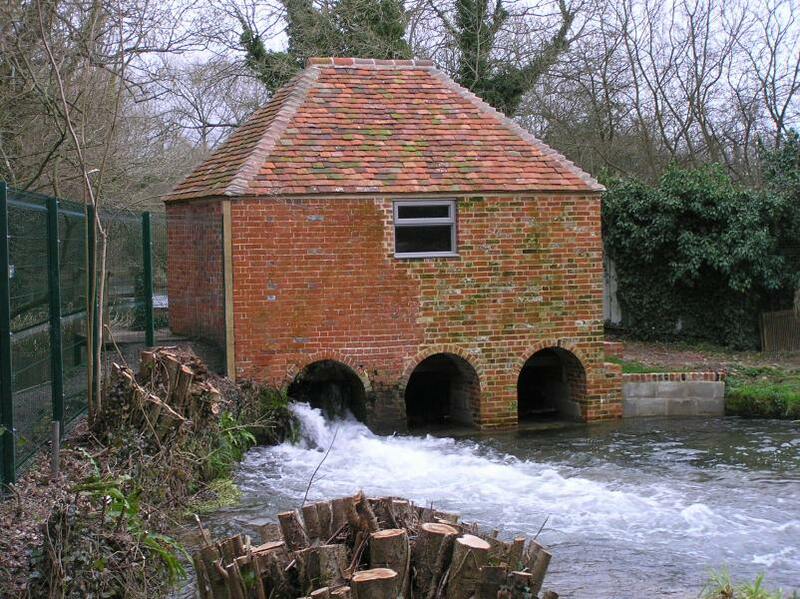 This week the New Alresford Town Trust announced that the Eel House, which has been closed for a year, is to re-open. 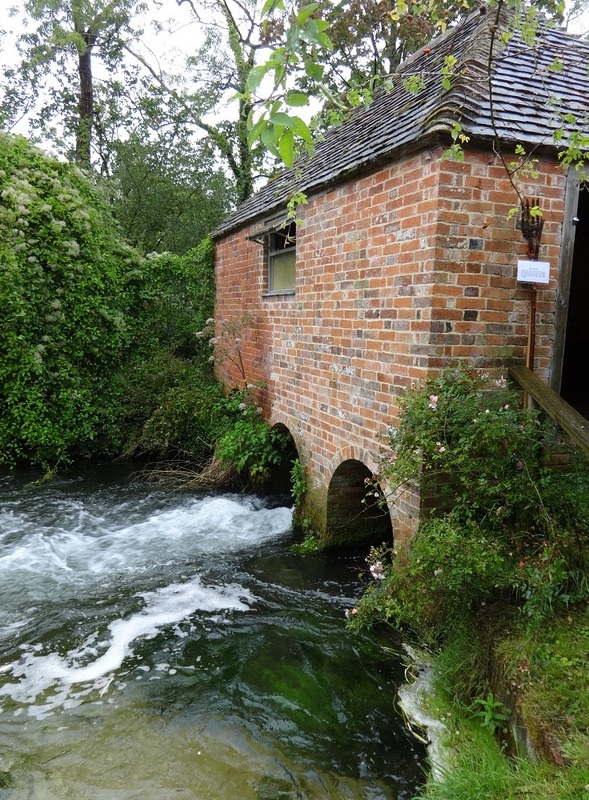 The closure was because of the high water levels, following the winter’s torrential downpours, making the access dangerous, but on Bank Holiday Monday the Eel House will be open to the public again, as well as on the weekend of September 13/14 (2014). Access is now possible along the river path from the Dean, as well as from the footpath from Drove Lane. Guides will be in attendance from 11am until 5pm. 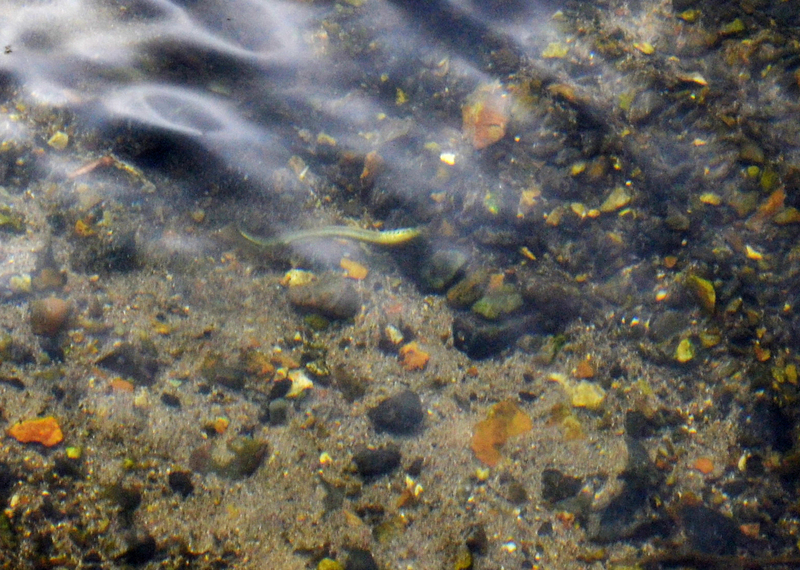 Visitors will hear about the history of eel fishing in the Arle since the 1820s, the decline in eel numbers since the 1960s, and the amazing life of the eel. The eel house itself is unique, a modest but nicely proportioned building with a clay-tiled roof dating from the 1820s, however in 2006, during work to remove the ivy that completely engulfed the building, it became apparent that the southwest corner was collapsing. The back scouring of the river current, coupled with the energetic roots of a nearby ash tree, had undermined part of the building and was making rapid inroads into the rest of the foundations. 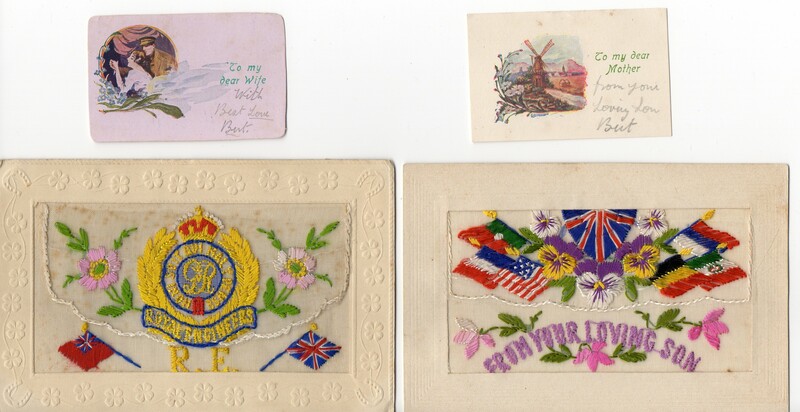 There was a danger it would crumble into the River Arle as all that was holding it up were strands of ivy. 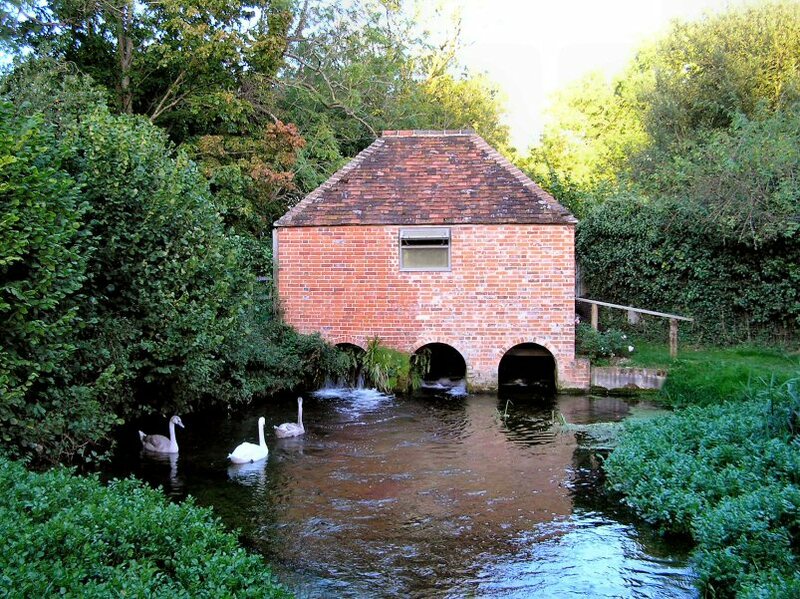 As the Eel House is located at a flow control point for the river, if it had collapsed, the upstream water levels would have dropped catastrophically, ruining the tranquility of the river walks around Alresford and the wildlife habitat of Old Alresford Pond. The owner moved swiftly to have the building propped up, and consultations between all interested parties followed. Also involved were the Environment Agency and Natural England, as protectors of the delicate and sensitive environment of the River Arle and its surroundings. 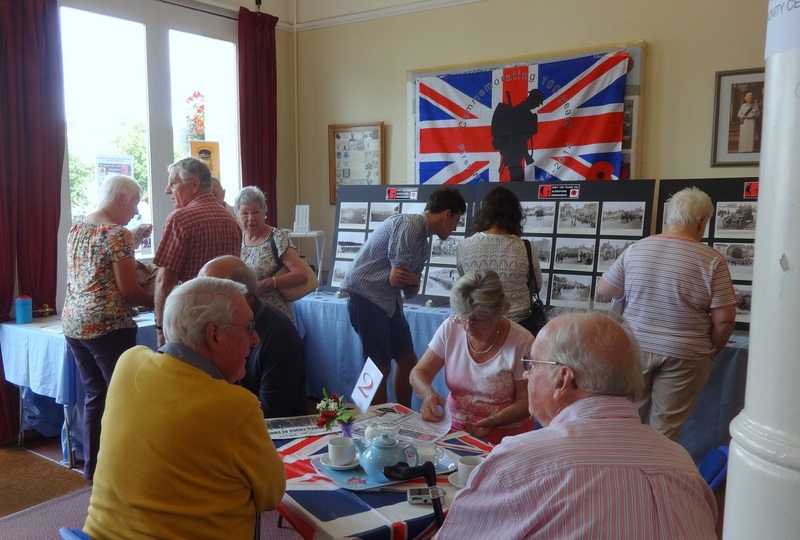 The Alresford Society were determined that the building should be saved, and two individuals underwrote the majority of the £15,000 for the initial and urgent funding of the restoration, to save the building itself. With goodwill from all parties involved, the outcome was that the New Alresford Town Trust was granted a 99 year lease on the building, at a peppercorn rent. This enabled a search for charitable grants and tax efficient donations for the whole project, and ensured the future of the eel house. 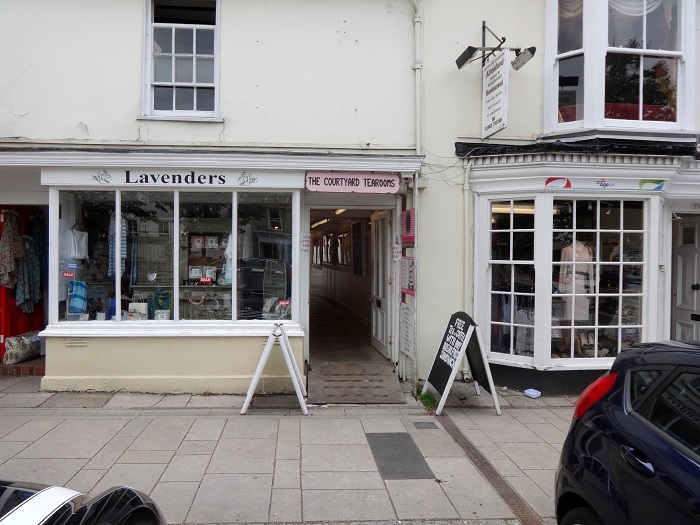 A rescue team was set up, under the authority of the Town Trust, comprising three Town Trustees and two members of the Alresford Society, plus the owner of the building and the landowner, to manage the repair, maintenance and future safety of the building. Duncan Grant of the Radley House Partnership, and Michael Clarke, a senior conservation officer with Hampshire County Council, provide this team with expert advice. Initial funding was raised by grants from Hampshire CC, Winchester CC, New Alresford Town Council, and The Alresford Society, augmented by generous donations from more than 50 local individuals and corporate bodies. The first step was to clear the loose and collapsed foundations and replace them with an extensive concrete ‘pad’, so that the five feet deepwater scoured void beneath the building was effectively filled. An under-scouring of the adjacent Wayfarer’s Way footpath was also repaired at the same time. The second step was to restore the essential structure of the building, rebuilding and re-pointing the walls together with replacing the roof tiles. New railings have also been installed. Once this work was completed the Mayor of Winchester was invited to open the Eel House in April 2008. It first opened to the public at Easter 2009, and has seen over 3000 visitors since then. 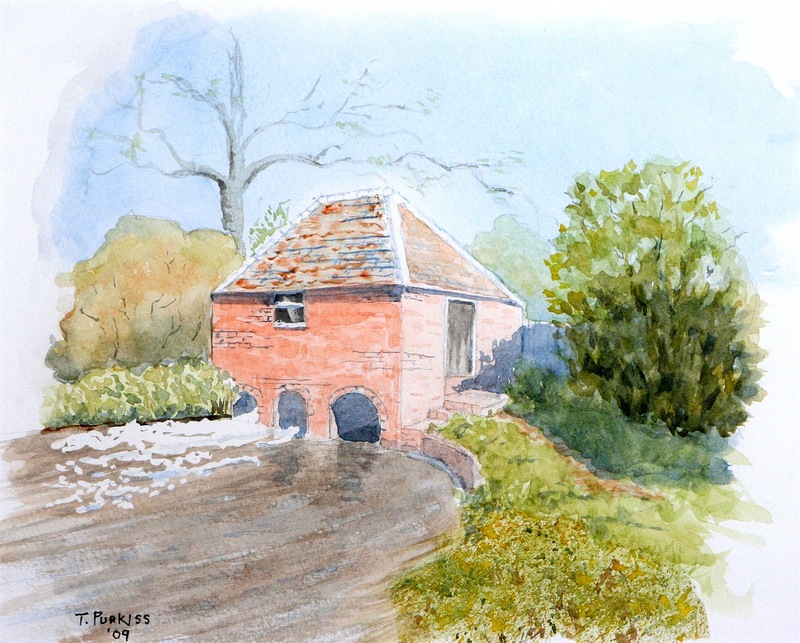 With the interior of the Eel House secure and with the exterior structure repaired detailed plans are being drawn up for the third step of restoring the building to working use. The aim is to make the eel house as it was in the past – but not for commercial fishing purposes, as any eels caught in the traps will not feature on restaurant menus, but be returned to the waters of the Arle. 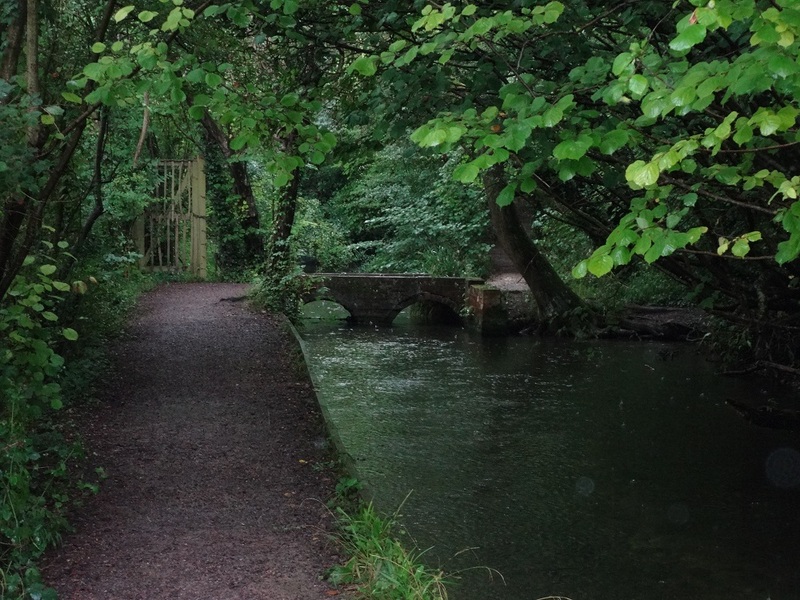 Back in the 1840s, on dark moonless nights between August and November, eels set off from the tributaries of the Arle and Old Alresford Pond, travelling with the prevailing current down the Arle to the River Itchen, thence into the English Channel and across the Atlantic Ocean. New research shows that in fact the eels turn left after passing Southampton and swim up the east coast of England, around the top of Scotland and then out across the Atlantic – this uses the prevailing ocean currents to best advantage. Their objective is to return to their spawning grounds to breed, deep in the Sargasso Sea, between the Bahamas and Bermuda. For more than 160 years, on between 6 and 8 autumnal nights each year, the licensed eel trapper would arrive at the Eel House, and using a hurricane lamp for illumination he would adjust the water flow through the sluices – the Eel House has three water channels built to house the iron grills that trapped the eels – and manoeuvre his catch into a boat shaped eel box in the river. When the box was full he would tow it downstream to his cottage to await the arrival of merchants from as far as Billingsgate, who took the eels away in tanks, to be sold, while still alive, at fish markets in London. All around Victorian London there were eel pie and mash shops, and it became a favourite dish of the working classes, as it was both nutritious and cheap. The East End and parts of Kent and Sussex still boast a few such shops, and their popularity is said to be growing. 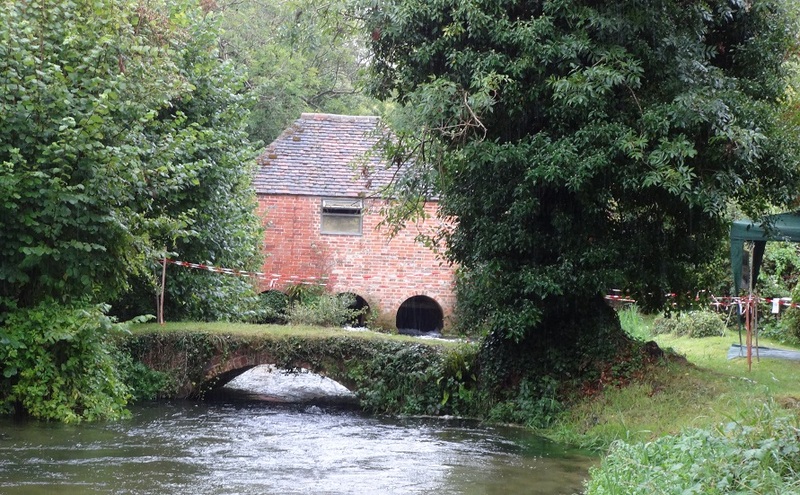 Buildings constructed specifically for eel trapping are extremely rare in the United Kingdom, and there is evidence that the one in Alresford was still in working use as late as the 1980s. Work is planned to install a metal mesh floor, which will make it easier to see the sluices, and the original design of the house. There is only one other such house that features in the English Heritage register of listed buildings. The Eel House at Alresford is certainly a unique historic building. 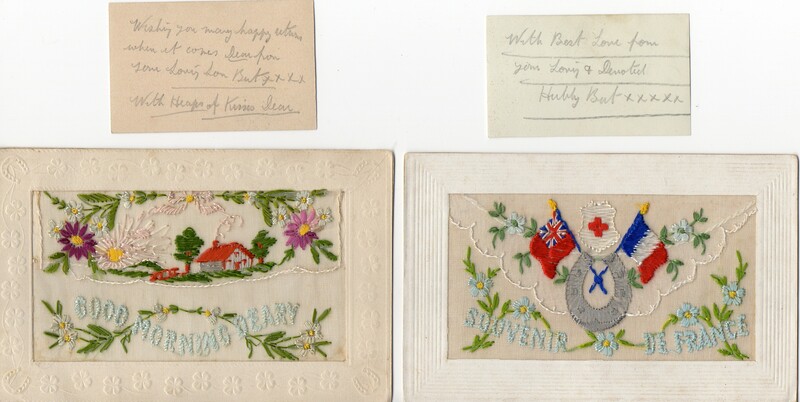 Fund-raising is on-going to complete the restoration of the inside and visitors will be able to see what needs to be done together with a small exhibition on eels and the house itself. Entry is free but donations are appreciated.